You can find this board in the demo project we create for you when you sign up at taskblitz. 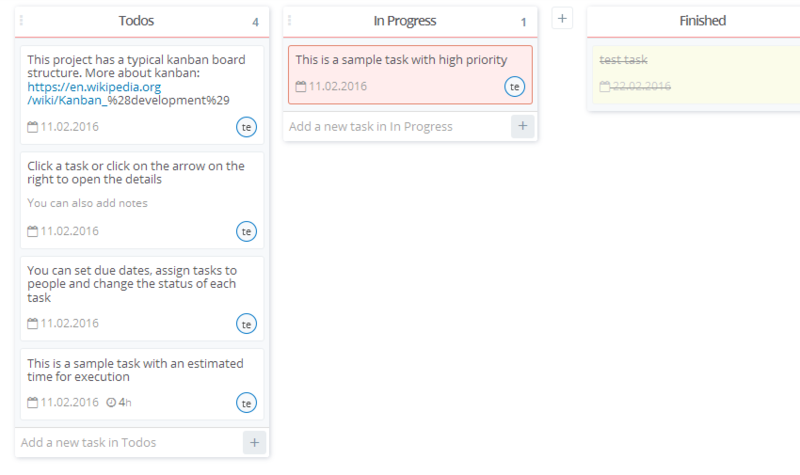 Using the board is super simple: you can use drag&drop to drag a tasks/cards from one state/list to another one. At the top of each list a number shows the count of cards in it. This will help you to keep the flow steady. If you want to customize or build you own processes with the board, it’s also very simple: All lists can be dragged around and reordered. You can also add new ones or change the name of existing ones. Like what we have built? We’d be happy to have you and your team on board! 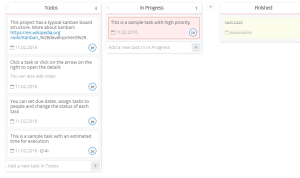 Erich started taskblitz as a concept back in 2011. After some time on the waiting line, Erich decided in Mid 2014 to work again on taskblitz and realize the concept.